– You often give in to food cravings and choose unhealthy foods. – You feel like you’re stuck on the “diet roller coaster” – always dieting but never keeping the weight off. 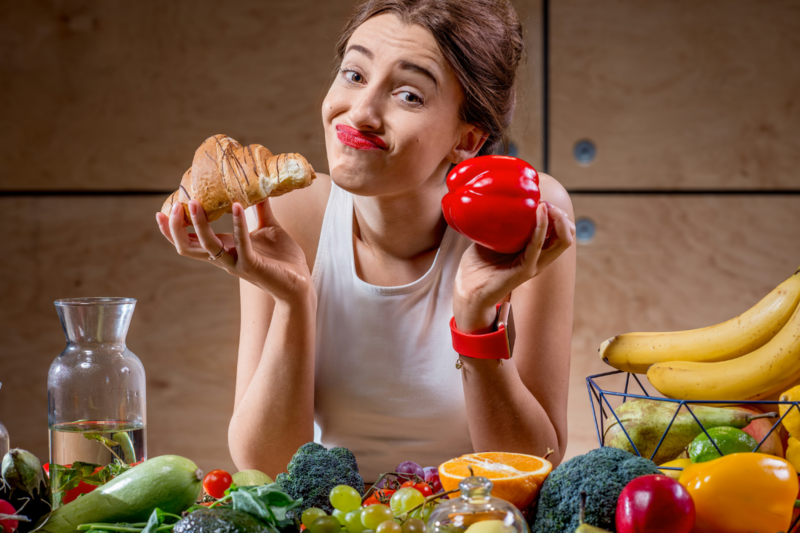 – You commonly turn to food in stressful situations instead of choosing exercise or healthier stress-busting techniques. – You struggle to find time in your busy schedule to prepare healthy meals. If you answered “yes” when you read any (or all) of the above statements, then the Focus on Healthy Eating Program is for YOU! Diets focus on deprivation as the way to achieve weight loss and better health. Unfortunately, this strategy doesn’t work for long! 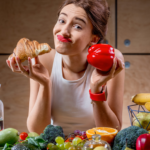 The Focus on Healthy Eating Program empowers you to address and remove the root causes of your food challenges ― so that you stop obsessing about food and body image, and start living your life fully engaged. In this program, you’ll discover how easy it is to remove your mental barriers and finally release the stress you feel around food and eating. 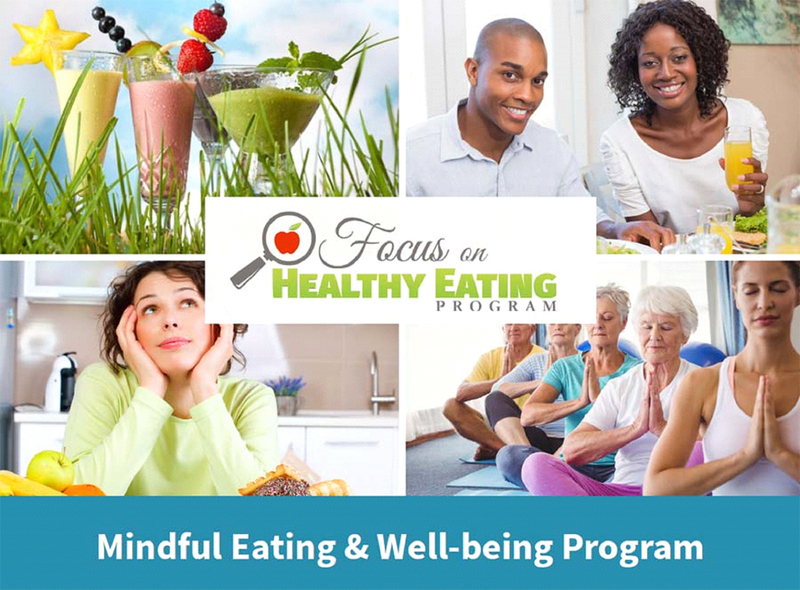 “Focus on Healthy Eating” is an interactive, 6 week mindful eating and healthy weight management program that can change your relationship with food forever! 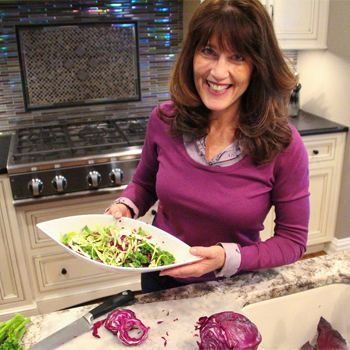 ⦁ Feel confident on how to choose nourishing foods for optimal health, energy, and vitality. ⦁ Know how to swap unhealthy eating habits for mindful eating practices that will transform your health. ⦁ Be able to effectively manage emotional and stress-related eating. ⦁ Break free from restrictive diets that leave you physically and emotionally depleted. ⦁ Practice stress mastery, relaxation, and self-awareness techniques for abundant living. 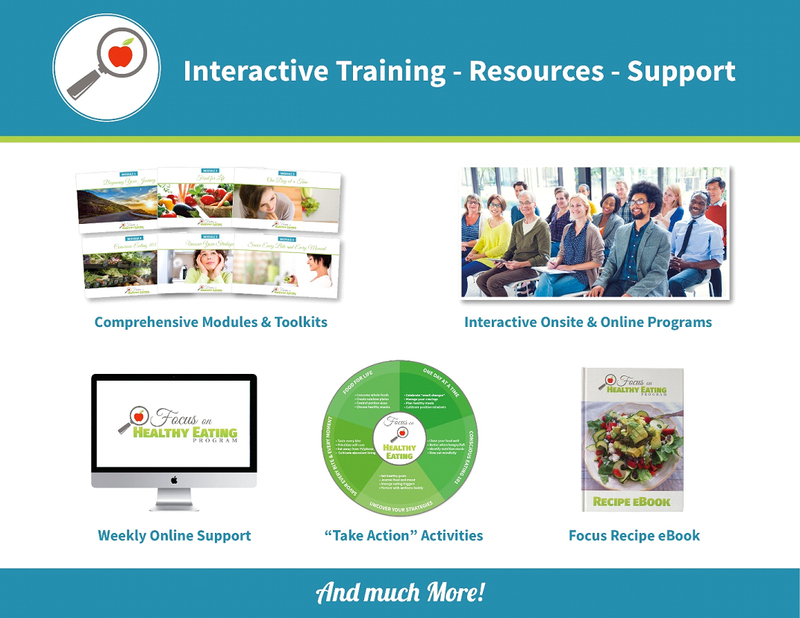 ⦁ Take charge of your health and cultivate healthy weight management strategies for LIFE! You are in TOTAL control of your eating habits, with NO guilt, shame, judgement or frustration. You no longer feel deprivation. You make choices that you feel good about, without feeling like you are missing out. You have a HEALTHY RELATIONSHIP with FOOD! The key is integrating new behaviors into your daily life so that they become a natural part of you. You can challenge your current subconscious thinking patterns around food — and create new, healthy habits to last a lifetime. What you eat affects what you crave, how much energy you have, and how you feel. So, by changing your thought patterns around food, you dramatically improve your health, body image, and energy levels… without the struggles of dieting. 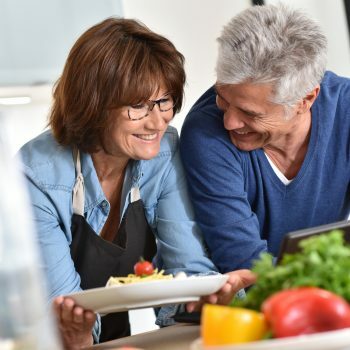 With this program, you’ll discover natural eating habits that will optimize your energy, inner peace, and balance; while allowing you to feel fully satisfied after each meal and snack. Plus, we have, of course, designed all the techniques you’ll learn in this program to help you take off those extra pounds ― and keep them off! Our 6 week program also coaches you on how to master the mind–body connection to finally reach and maintain a healthy body weight for life. At last – the struggle stops here! Weekly emails and handout toolkits packed with mindful eating/healthy living tips to keep you on track. A Private Online Community Group hosted by a facilitator and full of people just like you to support you on your journey. Weekly “Take Action” activities to put your learning into Practice and cement healthy new habits. Our Whole Food Meal Planner and Grocery Guide to save you time and confusion, and drastically improve your success. The Focus on Healthy Eating Food and Mood Journal, to help you identify your triggers and how to effectively manage them. Focus on Healthy Eating Recipe eBook, to make meal planning easy and take the guess work out of healthy eating. Feel like you might need more personal, one-on-one support? Add a weekly personal check-in or coaching session via text, email, phone, Skype, or Zoom to your program and start seeing real results even faster!